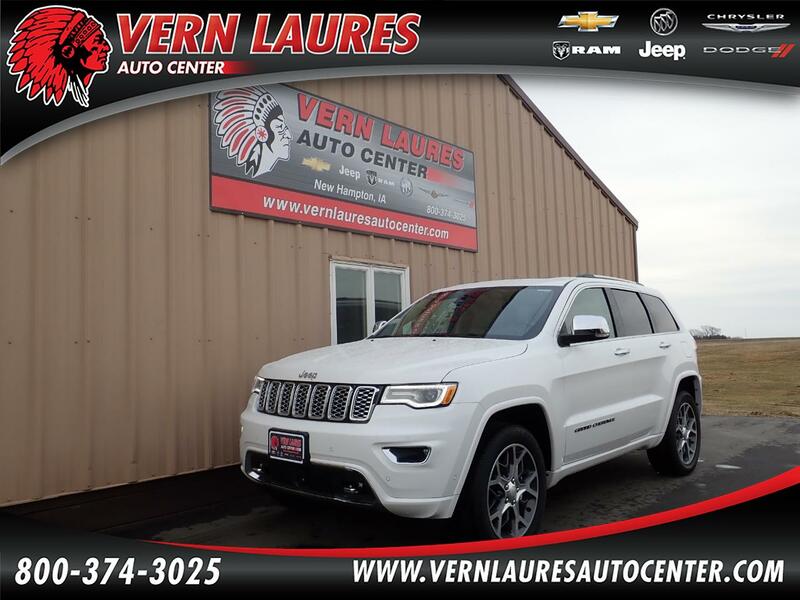 Just in is this loaded up 2019 Jeep Grand Cherokee Overland 4WD. The color is Ivory White with Light Frost Beige Interior. It has a Panoramic Sunroof, Heated/Cooled Leather, Navigation, a Power Lift Gate, Push Button Start, 20" Wheels, Back up Camera, Driver Memory Seat, Heated 2nd Row, a Heated Steering Wheel, Dual Power Seats, and Select Terrain 4WD. This Jeep is loaded and looks great. Stop in and take this one for a drive!